None of us have ever tried to hide the fact that we love Knee Deep. They rank highly with us because of their excessive-hopping skills: they make the entire gambit of IPA taste about as hoppy/dank/attenuated as you've ever had, all while maintaining a good level of distribution. And this takes the cake as their most potent offering. Just look at those stats! FUG THIS SHIB. But it's actually not as oppressive as I thought it would be, so in a sense it's not all that "insane" of a beer -- unless you're planning on making a night out of it. I would recommend against that, Stretch. There are a few things plainly obvious here: ultra high ABV layered over a not-so-dry body. And you can be damn sure the level of hops ain't gonna disappoint. Actually, they've achieved a wonderful balance between all of those things, so much so that I would venture this would beat Expo in a blind taste. The hops impart a fantastic tropical flavor that makes me think I'm at the Tonga Room wailing down 15 dollar buckets of blue blackout juice. NOICE! Well hot diggity looks like we got ourselves a Ken Caminiti style beer-slugger. 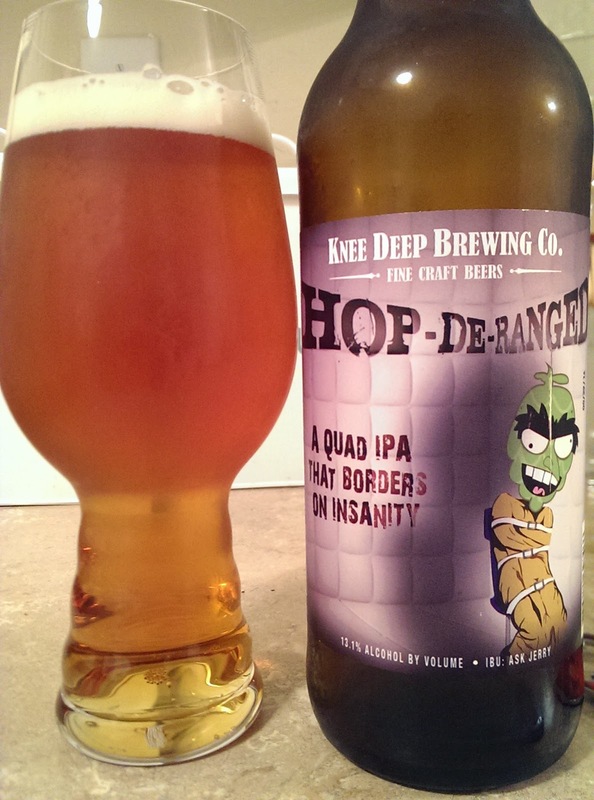 Although, instead of calling this a IIIIPA, as the wonks would have it, let's just call it an after-a-couple-sips-I'm-drunk-PA. And I'm thinking this wont die from going too hard on speedballs. I want this inside of me!